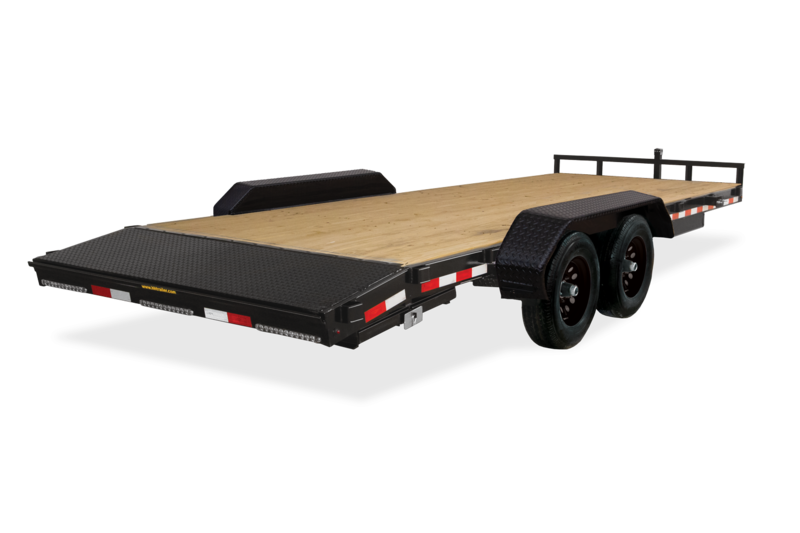 The Heavy Duty Flatbed has been the backbone of the trailer industry for years. 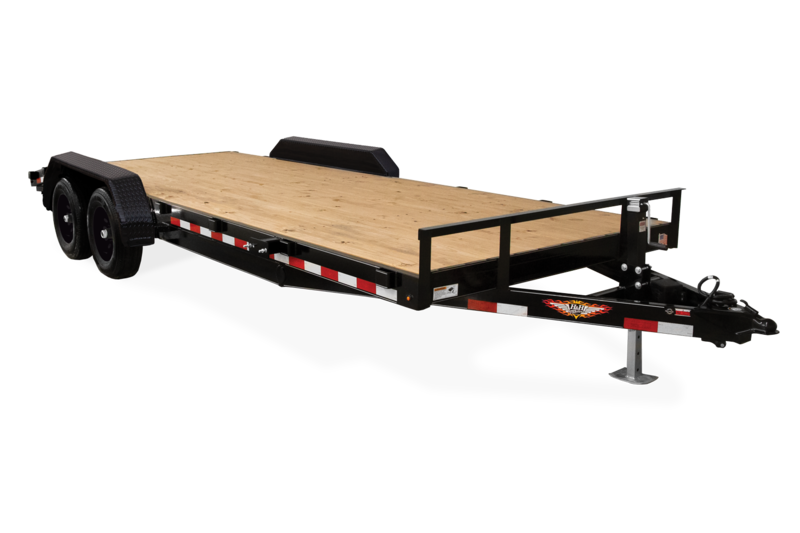 Designed to haul vehicles, equipment and more, this trailer comes standard with dovetail and heavy service ramps. It is arguably our most versatile model. 82" x 22'+2' 16 3/4"
82" x 14'+2' 24 1/4"
82" x 16'+2' 24 1/4"
82" x 18'+2' 24 1/4"
82" x 20'+2' 24 1/4"
82" x 22'+2' 24 1/4"
82" x 22'+2' 82 1/4"